Rival is a fun, easy to learn game for 1 or 2 players. The combination of strategy and luck involved make it an enjoyable game for players of all ages. 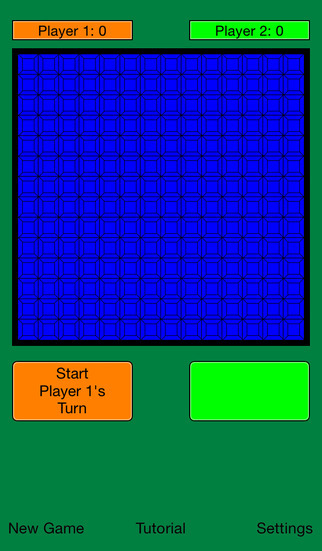 On every turn you get a choice of four randomly-selected starting squares, and between zero and three bonus squares in a line. 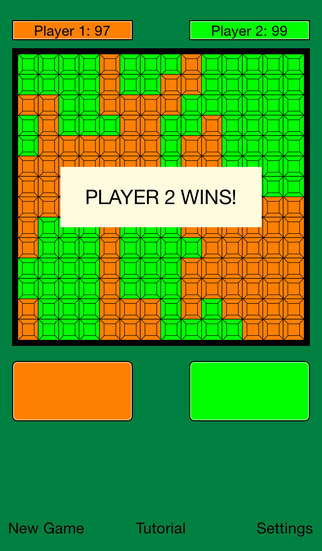 Connect to the corners, surround and capture your opponent's squares, and claim a majority of the board to win!